"A Tale of Two Cities", published originally in 1859, remains one of Charles Dickens's consistently popular works, admired as much for its succinct plot as for its vivid setting in the French Revolution. Dickens himself thought it the best story he had ever written. This Companion, by concentrating on the factual, reveals the great care Dickens took with the planning and preparation of his story and its roots in the work of Thomas Carlyle, one of the most influential thinkers of the Victorian age. It also explores aspects of Dickens's life. The Companion identifies the multitude of allusions to what Dickens often regarded as the whims of eighteenth-century justice, religion, philosophy, fashion and society. 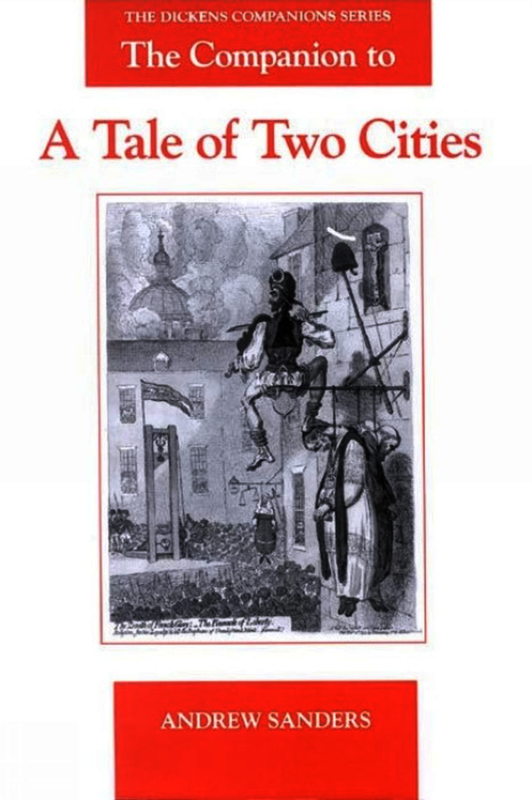 The Companion to "A Tale of Two Cities" provides the modern reader with both fundamental sources of information and a fascintating account of the creation of a complex historical novel. It can be read alongside any edition of the novel. [Sanders'] time-scheme for the novel, setting fictional against historical events, is especially helpful. What Andrew Sanders offers is, to quote his general editors, a 'factual rather than critical' annotation of the complete novel. . . . 'A Tale of Two Cities' responds particularly well to such treatment and the job is meticulously done.... the Dickens Companions are clearly indispensable to the scholar. Le travail d’Andrew Sanders sur A Tale of Two Cities maintient...le niveau élevé d’intelligence et de savoir qui avait été établi dans les trois premiers volumes. Sanders connait à fond le livre qu’il annote, ainsi qu’une grande partie des études qui lui ont été consacrées... Sanders enrichit, par l’énorme masse de documents et d’informations qu’il apporte, notre connaissance de l’oeuvre de Dickens, de sa genèse, de ses sources, de son arrière-plan. ... ‘[L]e volume est d’ores et déjà solides et parfois brilliant. Andrew Sanders is Professor of English at Durham University and is the author of many works on Victorian literature.